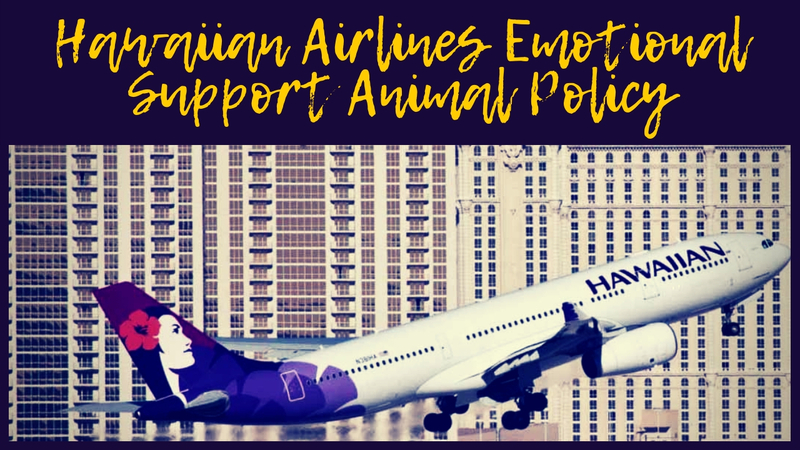 As with other airlines, the Hawaiian Airlines emotional support animal policy has been made in accordance with the Air Carrier Access Act (ACCA) from 1986 and under the guidelines created by the US Department of Transportation. While the airliners itself will not have issues with transporting different animals aboard, either as pets, service animals, or emotional support animals, traveling from the American mainland to the State of Hawaii is also governed by the Hawaiian animal quarantine requirements as to preserve the natural biodiversity of the island. All animals that have proper training and certification, and meet all of the size and behavior requirements of the airline, will be allowed to enter the aircraft cabin free of charge. Any animal without the proper signed documentation will be regarded as pets and will need to pay additional fees required for a pet. Only animals that are recognized to be emotional support animals by the authorities will be regarded as such, with others, even with a training certificate, will be viewed as pets. According to their policy paper, Hawaiian Airlines will not accept service dogs in training as service animals until they finish the training, but they can be traveling on the flight with the customer as pets. The most significant change in restrictions is the restriction in size, as all emotional support animals will need to fit an in-cabin carrier that is up to 18 inches in length, 14 inches in width and 8 inches tall. While the animal itself might be longer than this due to the tail, or other foldable extremities, as long as the animal can fit comfortably inside the carrier this will not present a problem. As is the case with all other airline companies, any animal that exhibits improper or inappropriate behavior will be denied access to the aircraft cabin. This includes barking, biting, scratching, growling, or lunging at the passengers. 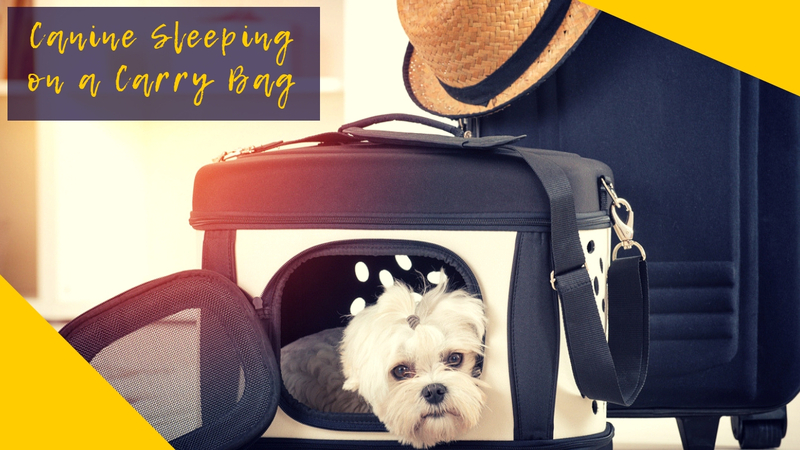 Additionally, you will have to provide proof that the animal will not need to relieve themselves during long flights, or that they can do so in a safe and sanitary way. As emotional support animals do not need the same training certificate as task-oriented service animals, you will need to provide an ESA certificate as to confirm that your emotional/comfort/ psychiatric support animal is capable of being brought on board. To be qualified as a person in need of an ESA, you will need a signed medical document referred to as an emotional support animal letter for flying, which is prescribed by a licensed medical professional, or mental health professional. 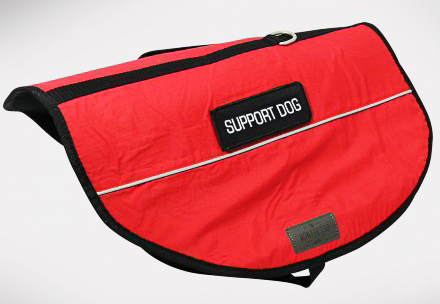 There is a specific list of ailments that require ESA treatment, including anxiety, depression, and post-traumatic stress disorder, and the passenger will need documents that prove this while traveling if they want to bring any type of psychiatric service animal on the flight. Alongside the doctor’s note and the ESA certificate, you will need to send a request form to the airline in advance at least 48 hours prior to departure if you want to be sure that you will be allowed to travel with your psychiatric service animal inside the passenger cabin.